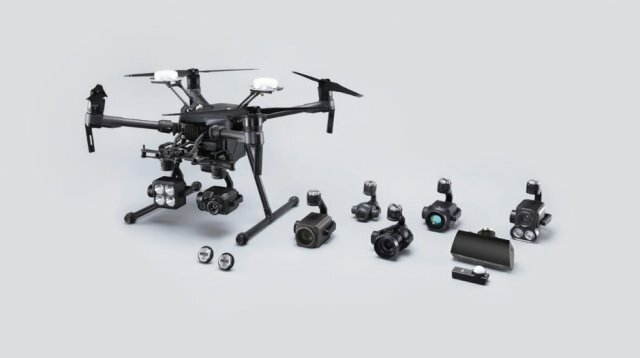 Drone industry leader DJI has teamed up with thermal imaging specialists FLIR to launch a new two-lensed camera system that enables drones to break new ground in infrastructure inspection, precision agriculture, firefighting, and search and rescue applications. 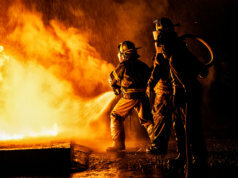 The technology was demonstrated at the headquarters of the Menlo Park fire department in California. The Zenmuse XT2 is both an optical and a thermal imaging camera. 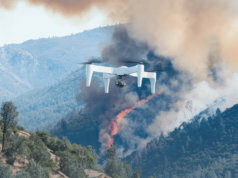 The two lenses enable the camera to capture heat signatures that are invisible to the naked eye while also providing a 4K video feed for data capture and situational awareness. Although the dual-vision has many potential uses, from inspecting solar farms to detecting hazardous materials, it has obvious advantages in emergency rescue situations. The Zenmuse XT2 camera provides two separate video feeds. 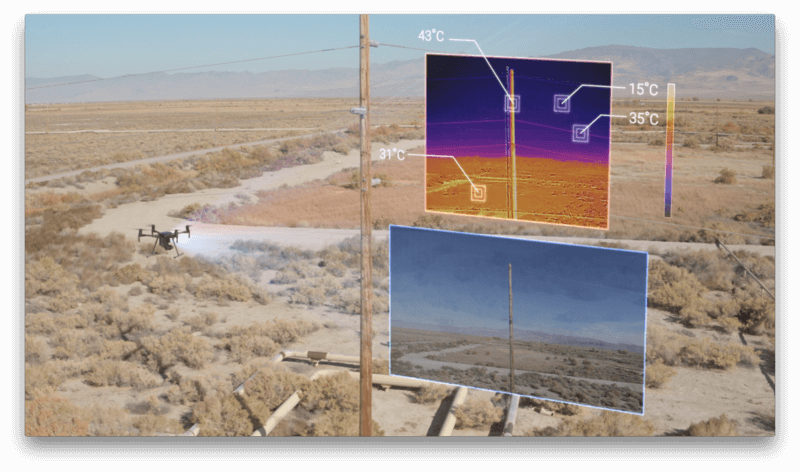 “The Zenmuse XT2 continues our longstanding partnership with FLIR to create the most powerful thermal imaging solution available on a drone today,” said Jan Gasparic, DJI’s head of enterprise partnerships. “We are excited to continue our collaboration with DJI to develop sensors for their industry-leading drone platforms,” said Frank Pennisi, president of the Industrial Business Unit at FLIR Systems. The Zenmuse XT2 is compatible with DJI’s Matrice 200 and Matrice 600 Pro enterprise models. The innovation doesn’t all lie in the hardware, however. 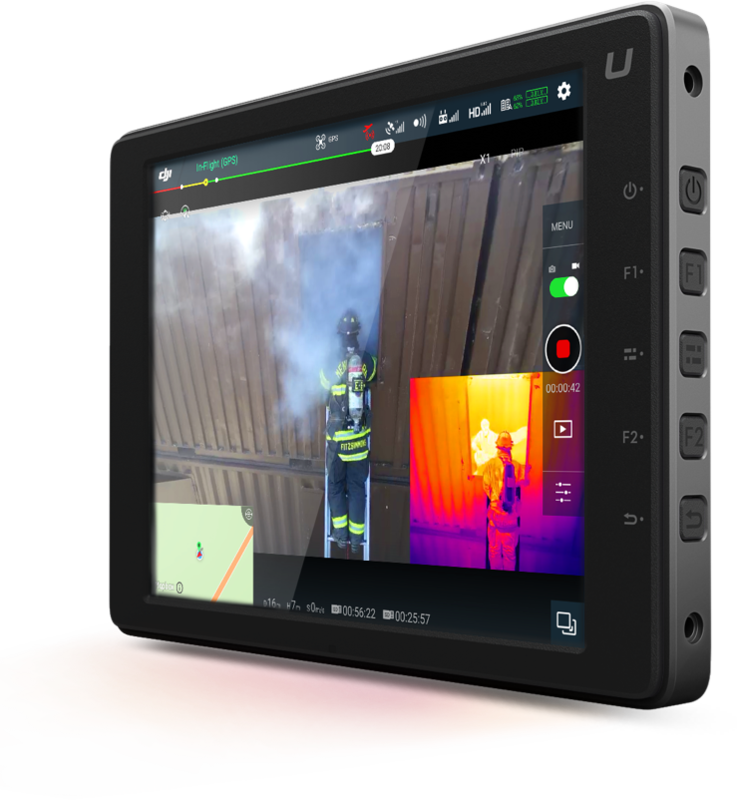 The onboard software includes two intelligent flight modes to assist first responders. These include Spotlight Pro, which allows the pilot to focus on flying while the camera automatically keeps the hottest object, or a specified area, in its sights. 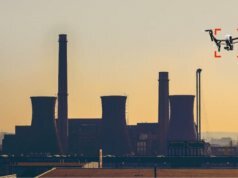 For infrastructure inspections or emergencies involving hazardous materials, the Temp Alarm feature analyses thermal data from above in real-time, and alerts the operator when an object’s temperature goes above a designated limit. Christian Struwe, DJI’s European head of public policy, told Internet of Business that the company is proud to move beyond consumer photography into areas that are more socially useful. “Every day we see an increasing number of stories from around the world, of drones not only saving time and money, but more importantly peoples’ lives. In fact, just last year DJI released the first-ever survey of lifesaving drone activities, finding that on average drones save almost one life per week. 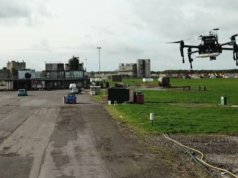 DJI has also released a new Payload Software Development Kit (SDK), which enables developers to build specialised platforms for any industrial purpose. Together with the accompanying Skyport adapter, the Payload SDK opens the door to anyone seeking to integrate customised sensors and cameras with drone platforms. DJI sees the move as “unlocking the true potential of drone technology”. “Our new Payload SDK makes it possible for any manufacturer to create a payload specific to their customers’ needs that will work seamlessly with DJI’s aircraft,” said Gasparic. 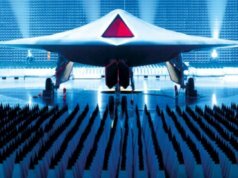 Drones that are capable of saving lives could help to turn the tide of public opinion in favour of the technology; many still associate it with enthusiasts intruding on public spaces, or link the word with military applications. 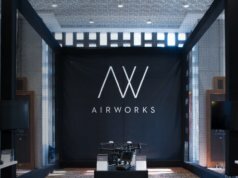 As by far the biggest hardware manufacturer in this space, DJI should be congratulated for broadening its focus and for recognising the technology’s potential to transform a range of industries.